I was gifted 1 set of 4 Airy Nuts for review purposes. All opinions are mine. I love my clothes dryer. Yes, I live in Queensland. Yes, the sun shines for huge chunks of the year. But I love my clothes dryer. Over the last 8 years, our electricity bills have stayed fairly static, even with all the rate rises we've had. But just recently we've fallen on tough times, so any way to reduce costs without huge increases to our regular household running is worth investigating. For some reason I've never quite been able to work out, we've needed to set our drying program to "extra dry" to ensure clothes are dry first time. There's nothing worse than grabbing a pair of socks on the way out the door, only to discover wet toes! But since we started using the airy nuts, we've been able to change back to "normal dry" while making sure the clothes are dry every time! Towels come out of the dryer fluffier, and fluro shirts have no static cling (all socks present and accounted for!) Handmade in Australia from 100% wool, Airy Nuts have made our clothes feel nicer to wear, and maybe next quarter, we'll notice a drop in our electricity bill. 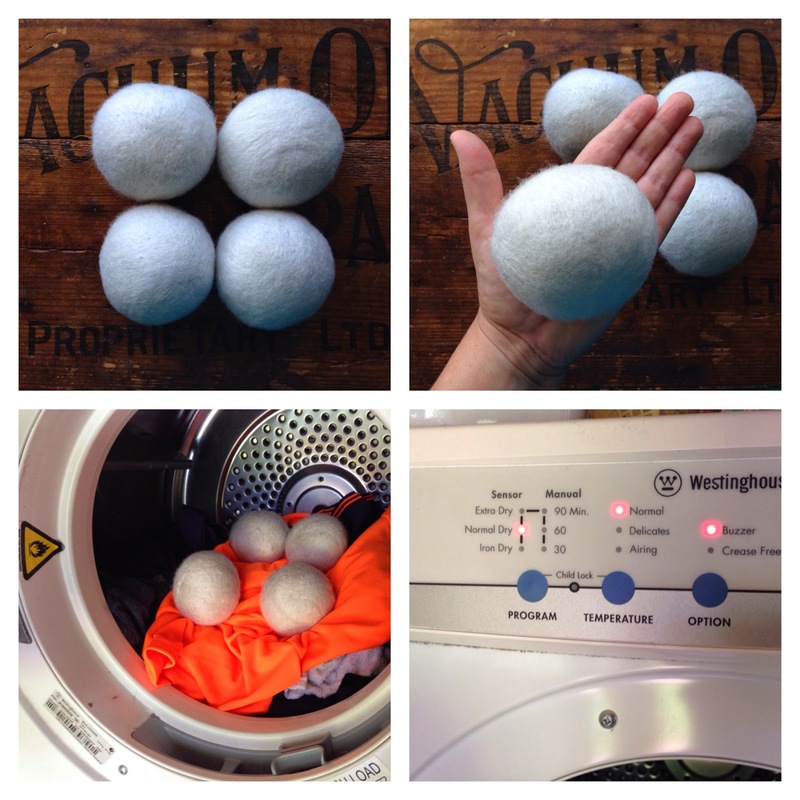 How do you keep clothes fluffy in the clothes dryer? Never seen these, but I might just have to go and google! Glad you are finding a way that helps you all.